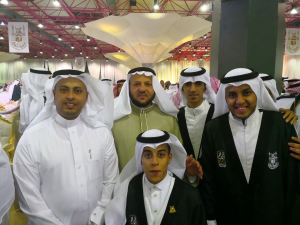 In the Graduation Ceremony for Umm Al-Qura (UQU) University Students (66), Dr. Tawfiq Al-Sharif, Dean of the University College in Al-Jamoum, shared this year’s graduate students their joy. On this occasion, Dr. Al-Sharif expressed his happiness with the graduation and excellence of the College’s students in all domains, wishing them all success and guidance in their professional lives. 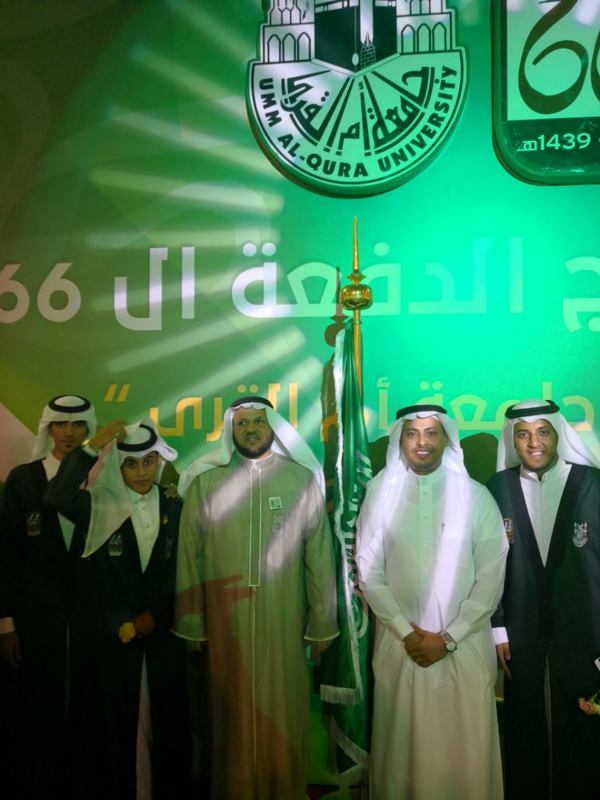 He added that the College sought through its various programs to provide students with skills that contributed to their development and preparation for the labor market. In the same context, he extended thanks to the wise government headed by King Salman bin Abdulaziz, the Custodian of the Two Holy Mosques (May Allah save him! ), and Prof. Dr. Abdullah bin Omar Bafil, UQU President, for sparing no effort in the advancement of such old university.